The door to the cellar creaked open to reveal a dark figure slipping inside. This was a secret entrance that only members of the family were aware of. He was positive that the house was not being watched, but it wouldn’t hurt to be careful. Especially when it could mean capture and a very long prison term. Large puddles formed on the rough stone steps as the figure crept down the stairs as quietly as he could. He moved to the door that led to the pantry and turned the knob slowly. He peeked around the corner to make sure that he was alone before he proceeded to the stairs that would take him to the bedrooms on the second floor. He was shivering from the cold, soaked to the bone after running through the heavy downpour outside. But it was worth it and he did not regret going out on such a dreadful night. It was either this or stay in his hideout and face the possibility of being dragged away to Azkaban. Only his wits and acute instinct for survival had enabled him to elude the hunters. As far as he could tell, the authorities were still unaware of his whereabouts and he wanted it to stay that way. They had stopped monitoring this house after three months of his non-appearance. They were probably now waiting for him at either one of his rest houses in the country. As if he would be that stupid! He’d thought of waking up his wife but he remembered that she’d already left, choosing to stay in her family’s ancestral home to avoid the constant stream of reporters and Ministry investigators alike. She would not have welcomed him with open arms, anyway, even if she was here. He knew how much she hated him right now and he doubted if she’d already altered her stand. He truly wanted to make things right, to explain himself to her, but her last words to him still rang in his ears. Besides, after he has retrieved what he had come for, it would not matter anyway. Things between them would change. EVERYTHING would change! He walked to the room at the end of the hall – his son’s room. This was the last room he had visited before he made his disappearing act. After everything started to unravel, he knew that it would be the safest place to hide his precious, albeit illegal, artifact. His wife would not even dream of searching her son’s room; she trusted him that much. And why shouldn’t she? As it turned out, he was as different from his father as night was from day. It caused a pang in his heart. Oh, yes! Despite what everyone thought, he did have a heart. And it had broken into a million pieces when he saw his world crumbling before his very eyes. How could they turn against him like that? Didn’t they know that he was just looking after the family name and legacy? How could they choose to betray their bloodline? But enough of that! He had work to do and he must do it fast! The room was pitch-black, but he didn’t need any illumination to accomplish his purpose. He knew this room like the back of his hand. The thick carpeting muffled his steps so he moved freely across the floor, straight to the large, four-poster bed. He went down on his knees when his hands felt the bed. Sliding his hand beneath the thick mattress, he pressed on the round button recessed into the wood frame. After hearing the telltale click, he moved his fingers to the small compartment that he knew was now open. His heart hammered against his chest, fearing what he would find. Had his inquisitive son discovered his secret? He hoped not! A great sigh issued from his lips when his hand felt the cold, metallic object nestled within the compartment. He wasted no time in pocketing it before running down the stairs and out into the pouring rain. When he was a few meters away from the house, he turned to look up at the darkened structure. The next time he came back here, he would no longer be skulking in the shadows. He would be welcomed as lord of his own castle again. He would take back everything he’d lost during the war – his dignity, his pride, his rightful place in society. He would even take back his traitorous wife and his disillusioned son! And this time, things would stay the way that they should – he would make sure of that! 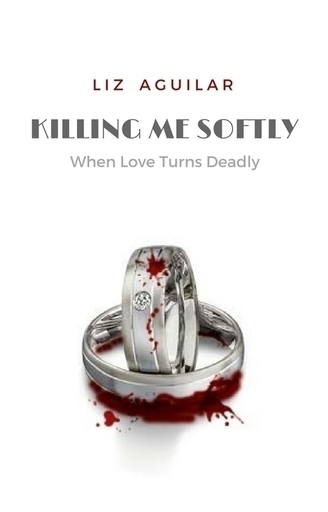 Short and sweet chapter with well-written prose. Keep writing. Hogwarts looked the same and yet it didn’t. It was the same ancient structure that has housed thousands of students for centuries, yet there was something different to it. There was an air of unmistakable melancholia and grief, like the very stones were groaning silently. Perhaps because it still hasn’t finished mourning its losses. Or perhaps because what used to be a place of adventure and fun had turned into a place of sorrow and broken promises. At least that’s how it felt like to Hermione Granger, one-third of the Golden Trio, war heroine, one of the saviors of Wizardkind. She sighed as she slung her backpack on her shoulders. Such lofty titles! She didn’t even deserve half of it. Except the one-third of the Golden Trio bit. That one she really was. Up until last month, that is. Now she didn’t even know if she was still part of a Trio. Or if she even wanted to be. One thing’s for sure – she’s not too keen on being with one of their members. The red-headed one to be precise. Everything was going smoothly, or so she thought. They started being ‘together’ right after the war. After that hot, face-melting kiss that they shared in the Chamber of Secrets, it was the only logical outcome. But then, after a few weeks, the fights started. They would argue about the simplest of things, with Ron blowing up at the slightest provocation. Then, Ron began spending more and more time away from her. Even when she was at the Burrow, he would make excuses (Quidditch practice with Harry, or Dean, or whoever) and leave her in the company of his mom and siblings. Good thing she was already bestfriends with Ginny, so it didn’t seem so awkward for her to stay there even when Ron was out. She reasoned that he was just getting more serious about Quidditch, even thinking of turning it into a profession after they graduate from Hogwarts, so he needed all the training that he could get. She missed him, but if that’s what he wanted, then she’d support him all the way. Until she saw him with Padma Patil at Honeydukes, being all sweet and attentive. And on a day that he said he would be out practicing with Harry! That was their biggest fight ever. Ron, of course, denied that anything was going on between him and Padma. He even accused Hermione of being paranoid. She apologized, mortified that she was probably reading too much into an innocent meeting with an old friend (or flame?). Ron ‘forgave’ her and things went back to normal for the next few days. She slipped back into complacency and before she knew it, he was also back to his old habit of leaving her in the Burrow. It went on like that for another month, until she caught him again with Padma. This time, Ron could no longer make excuses. It seemed quite hard to explain how his lips were inadvertently glued to Padma’s at Madam Puddifoot’s Tea Shop. She walked away without saying goodbye and that was the end of their very short-lived romance. It may have been short-lived, but it still hurt like hell. And now, she didn’t know how she would be able to face him again. A voice calling out her name pulled her away from her dismal thoughts. She turned around and saw Harry walking briskly toward her, his brows knotted in a deep frown. Hermione saw Ginny right behind him, her brows arched in question. “I’m sorry, guys. I was just running my schedule through my head. I wanted to make sure that I won’t miss anything,” she replied, smiling sheepishly at her bestfriends. “Are you okay?” Ginny asked, reaching for her hand. “Yes, it is. What’s your first class, Mione?” Harry replied, slipping his hand behind Ginny’s waist, pulling her close. Hermione had seen the two in such a stance countless of times, but somehow she felt uncomfortable seeing them like that now. She needed to get away lest she ruined the day for her bestfriends. “Great! I’ll see you at Potions then, Harry. I’ll just make a detour to the library. I need to get something from there. Good luck with your first class, Gin. I hope you don’t fall asleep. Bye!” She waved, turned and walked as fast as she could, leaving the two gawking at her retreating figure. She did not go to the library, though. She locked herself in one of the stalls in the ladies’ room and cried her eyes out. Draco Malfoy pinned the HeadBoy badge on his robe with trepidation. Under any other circumstance, he would’ve strutted around with it. But after everything that had happened to all of them because of the war (which up to now he felt a little responsible for), he hardly considered himself worthy of such honor. Why couldn’t have HeadMistress McGonagall chosen someone else? Why not Potter or Longbottom? They were truly the two biggest heroes of the war, so why didn’t she choose either of the two? Granger deserved the spot, McGonagall informed him that she was the HeadGirl, but him? Sometimes he really wondered if there wasn’t something wrong inside the HeadMistress’ noggin. He shook his head and glanced at his image in the mirror. Physically, he looked the same, yet he really wasn’t. The past year had changed him so much he could hardly recognize himself. Where was the cocky, arrogant, spoiled brat that he once was? Where was the self-assured, immature snob who bullied his classmates out of boredom? The Draco that was looking back at him now was a grown-up version, a wiser, stronger version of that young, insecure boy. And he could bet half his inheritance that no one ever considered that he was even that. All they saw was the obnoxious Draco. And could he blame them? Up until that time when he decided to finally declare what was truly in his heart and mind, people saw him as nothing but a teenage Death Eater. No one ever thought that all his life, he was being forced into a role that he couldn’t get out of. Zabini’s voice calling out to him cut into his musings. He brushed his hair back with his hand, smoothed his robe and turned toward the door. “Malfoy! We’re going to be late! Enough with your primping. I’m sure you’re prettier than half the girls in our class, anyway,” Zabini hollered. Draco chuckled at his friend’s statement. He really should get a move on. Bending down, he grabbed his backpack, slung it over his shoulders and strode out the room. Zabini jumped to his feet and followed him to the door. “You’re whipped, man,” Draco threw over his shoulder. “Hah! Let’s see if you’re any better at handling your girlfriend,” Zabini retorted. Draco groaned. Even though they’re now on speaking terms with their former nemeses, there was still a sort of barrier that they could not seem to overcome. It really isn’t that easy to forget all those years of bad blood between the two houses. Only a miracle could change that. His thoughts went back to the last days of the war. He’d admitted to his mother of his intention to switch sides. She was against it, of course. Not because she still believed in the Dark Lord’s cause, but because she feared what his father would do to him if he found out. But he saw no other way to right the wrongs that he has done. He owed as much to Dumbledore. Even after the great man found out about his mission, he still tried to help him. Up to the very last minute of his life, actually. And he could never dismiss that lightly. He pulled himself from his musings when they reached the Dungeon, the site of their Advanced Potions class. Most of their classmates where already there, even the Gryffindors. Blaise pushed past him and rushed to sit beside Pansy, who was glaring at both of them. Draco chose to sit on the last row, away from the lovebirds. Sometimes it was hard not to get annoyed with their constant whisperings. Dumping his backpack on his desk, he leaned back in his chair and waited for Professor Slughorn to finish what he was writing on the board. He smirked as he realized that it was a potion he was very familiar with. Today’s work would be a breeze. Draco leaned on his bag and sighed. He shouldn’t be here. It was only because his mother begged him to finish his studies that he was compelled to come back to Hogwarts. The war had changed a lot of things, but he feared that some things would never do. The opinion of people, for one. Even though he fought side by side with some of his classmates from Gryffindor during the war, they still kept a safe distance from him now. They treated him quite civilly, but with a coldness that was even worse than their former disdain. A slight movement to his left caught his attention. When he turned to look, he was surprised to see Hermione Granger sitting beside him. He whipped his head around to look for the Weas-, Weasley (he really should start ditching his former nasty nicknames for the Gryffindors!) and he saw him sitting up front with Longbottom. Silence. Hermione’s eyes were downcast, her fingers fumbling at the clasp of her backpack. Draco’s brows knotted into a frown. He’d half expected a quick retort from her and he wondered what made her wake up on the wrong side of bed. He saw that she was getting frustrated with the troublesome clasp so he reached out and grabbed the bag from her. “Here, let me,” he said as he clicked on the clasp and opened the front flap of the bag. He shoved the bag back to Hermione and took a closer look at her. Her eyes were puffy and her nose was red. She had obviously been crying. “Hey, Granger, what’s wrong,” he asked, leaning close. Hermione’s head shot up and her eyes flashed in anger. “I could’ve, if you didn’t just grab it from me and acted like my damn savior!” Hermione whispered furiously at him. “Well, excuse me, Miss I-Can-Do-Everything-By-Myself! Remind me never to come to your aid anytime soon. Or better yet, make that never,” Draco snapped back. He couldn’t understand how his emotions seemed to go up and down whenever he was near her. How could his concern turn into annoyance in a flick of a finger? He shot a parting glance at her and turned his attention back to Professor Slughorn who’d just started to address the class. “Good morning, everyone! So, we’re going to do something different today. As you can see, I have here two glasses filled with strips of parchment. You will each get one,” he gave one glass to Longbottom and the other to Nott. And just as the Professor had said, names were now appearing on the board: LONGBOTTOM – NOTT, POTTER – ZABINI, PARKINSON - WEASLEY…. The grumbling grew louder as more and more names were revealed. It seemed that none of them were happy with their partners. This really would be an interesting year for the Advanced Potions class of Professor Slughorn. Draco took the glass from Finnigan, he could see that there were just two strips of parchment left. One for him and one for Hermione. I have a bad feeling about this, he thought. 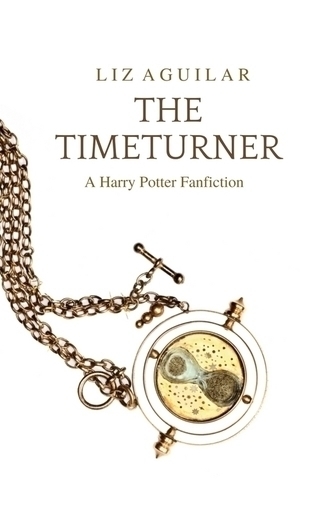 He dipped his finger inside and picked one of the last two remaining strips then passed the glass along to Hermione. Then, he looked up the board and waited for their names to appear. He didn’t even open the folded strip of paper, he just knew who his partner would be. 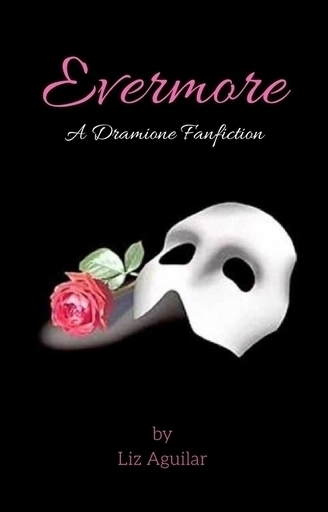 Seems a Dramoine fan fic. You have flashed out the characters well. A bit of errors here and there, but nothing you can't fix. Good use of show. There are days that don’t really take off the way that you want them to. And for Hermione, this was definitely one of those days. After a disastrous Potions class, everything just continued to go downhill. She was late for her Runes class (which was actually Malfoy’s fault – they had to stay behind and clean up the mess they created), then she forgot her book for Charms class, so she had to go back to the Tower to retrieve it (making her miss lunch in the process! ), then Defence Against the Dark Arts was with the Slytherins again! She spent most of her time purposely ignoring Malfoy (which gave her a stiff neck since he sat beside her just to annoy her). Hermione sighed as she trudged up to the Great Hall. Will this day never end? She would’ve preferred to go straight to bed but her stomach was already protesting. She couldn’t miss dinner since she’d already missed lunch, if she did she’d only wake up hungry in the middle of the night and then she won’t be able to sleep. Which in turn would make her cranky in the morning. So, she dragged herself to dinner and prepared for the worst. The Hall was almost full when she got there. The four tables were already filled with students gorging on the delicious fare. Her stomach growled as the aroma of roasted chicken and pudding greeted her. She moved toward the Gryffindor table but stopped in her tracks when she saw Ron and Padma sitting close together, exchanging spoonfuls of pudding. She’d forgotten that the rules have been relaxed and students were now free to sit wherever they chose to. She looked around and indeed, most of the tables were mixed with Ravenclaws, Hufflepuffs and Gryffindors sitting together. Only the Slytherins sat apart in their old table. I guess some things never really change. Ginny waved to her and motioned for her to sit beside Luna, but that would make her sit right across Padma and Ron. She waved back and she shook her head, casting a surreptitious glance at Ron. Ginny got the message and gave her a small, sad smile. Hermione turned back and took a seat at the table nearest the entrance. The first-years sitting there gawked at her, eyeing her Head Girl badge nervously. “Don’t worry, I don’t bite,” she smiled at the two first-years, a black-haired boy and a red-headed one with glasses (why did she feel like they looked somewhat familiar?). Their shoulders slumped visibly in relief at her assurance. “I’m Luke, Ravenclaw, and this is my cousin, Thomas. He got sorted into Slytherin,” the one with the black hair said. “Slytherin? Then, why aren’t you at the Slytherin table,” a familiar voice said. Thomas paled at seeing the Head Boy badge pinned on the newcomer’s robes. Thomas nodded but still cast a nervous glance at the one with the Head Boy badge. He kept his head down as he stabbed at his veggies. Luke did the same, his eyes focused on his pudding. Thomas nodded, his eyes twinkling as he smiled. Luke also smiled and soon the two were back to eating and talking to each other, the persons of authority sitting before them momentarily forgotten. “So, why is the Head Girl sitting with two first-years? Not comfortable sitting with the Ravenclaws?” Draco said as he piled his plate with food. He could almost feel the heat of Hermione’s glare. “And what is the Head Boy doing here? Why aren’t you sitting with your Slytherin friends? Where’s your House pride, Malfoy?” Hermione sneered, filling her plate with veggies, chicken and corn bread. “It’s as I’ve said, nonsense. Just look around you, Malfoy. There are no House tables, anymore. Ravenclaws, Gryffindors and Hufflepuffs, all eating, talking, sitting together. Except for the Slytherins who still chose to segregate themselves,” Hermione said gesturing to the other tables. Draco did not have to look around to see the truth of her words. It was the first thing he noticed, even during lunch. But it wasn’t entirely the Slytherins’ fault. Practically no one chose to sit beside a Slytherin. “Maybe it’s not because they wanted to ‘segregate’ themselves but rather that they had no choice because no one dared invite them to sit with the other houses. And no one even ventured to join the Slytherin table,” Draco replied, trying to keep his simmering anger at bay. He had hoped that the war would finally end all that crap about House segregation, but it was clear that old prejudices die hard. People still viewed the Slytherins as the scum of the earth. Even after a lot of them had fought and bled in the war. Himself included. “That is so not true, Malfoy,” Hermione protested. “Really? Can you prove it? During the welcome feast last night, did anyone of you invite a Slytherin to your table?” Malfoy turned to Hermione with brows raised, the beginning of a sneer forming on his lips. “I – I wasn’t very attentive last night,” Hermione said, her voice barely above a whisper. Last night I was a walking zombie, she wanted to add. How could she have noticed anything other than Ron and Padma pawing at each other? She had to focus on restraining herself from raining curses at Ron during the welcome feast that she wasn’t sure if she even ate at all! Draco took a sip of pumpkin juice and turned to look at Hermione. He was expecting to meet her glare but Hermione’s eyes were somewhere else. He followed her line of sight and inwardly sighed when he saw what she was looking at. You are such a git, Weaslebee! “Didn’t your parents ever tell you not to play with your food?” Draco asked, determined to annoy Hermione out of her melancholia. Draco stiffened at the mention of his parents. The past year had caused so much devastation to his family and he just hadn’t come to terms with that yet. Still, he didn’t want to make a big deal out of it or (strangely! )to make Hermione feel guilty about that harsh reminder of his situation. “No, really, Draco. I didn’t mean to…to say anything about…about,” she was cut off by the incredulous look on Draco’s face. “Did you just call me by my first name?” Draco smirked. “What? No! No, I didn’t!” Hermione gasped. A few heads turned their way and the two first-years before them froze in their seats. Hermione gave them all a bland smile then turned to Draco and whispered furiously at him. “Alright! So what if I did? It was just a slip,” Hermione bit her tongue as she realized her mistake. Now he would think that I call him Draco in my mind! Hermione snorted at that. “You’re delusional, Malfoy,” she said, spearing an asparagus rather too harshly. Why ever did I call him by his first name? “Oh, come on! It’ll be our little secret,” he continued, taunting Hermione by leaning in closer, their arms now brushing against each other. Draco smiled inside, satisfied that he now had Hermione’s full attention. She hasn’t even looked once at the Gryffindor table during their exchange. Now, let’s see how far you’d go, Granger. He moved closer to Hermione, his lips almost touching her ear as he whispered. Hermione shot out of her seat and glared down at Draco, her cheeks turning a bright pink. And with that, she turned tail and stormed out of the Hall. Draco grinned, shaking his head as he took another sip of pumpkin juice. Some things just never change, do they?